It’s time to be merry. Celebrate the color green in its full grandeur and dance your way through sporting the lovely shamrocks! ‘St Patrick’s Day’ is celebrated all around the world today and has become so much more than what it first began as. It manifests the cities into coming alive and individuals across the globe celebrating the Irish culture internationally. 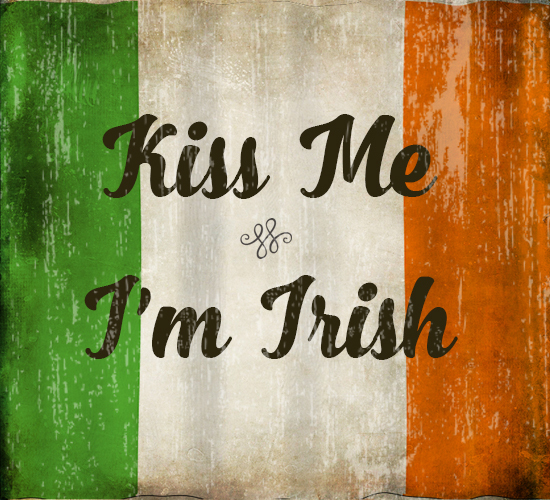 Large parades, feasts full of traditional Irish food and not to forget good old Irish beer! What is quite unique and immediately noticeable to the eye is just how much the color green is used and worn on this day! Just why would everyone and everything be clad in green?! Has the omnipresence of green on the occasion ever made you stop and wonder? 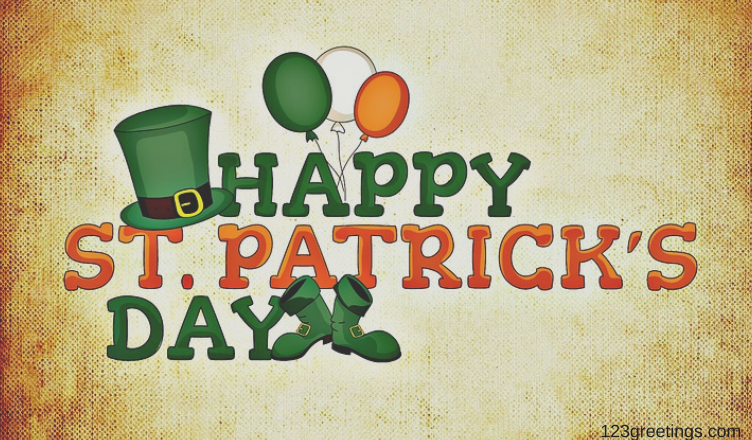 Fun facts about St Paddy’s Day and its association with green! Huge, not only in Ireland and Europe but also across the states. The Irish take St Patrick’s Day very seriously with it being a national holiday in both Ireland and Northern Ireland. Moreover the St Patrick’s Day Parade in New York is one of the largest parades in the world involving 250,000 marchers! He was actually born in Scotland or Wales and to Roman parents. However, his significance lies in how he introduced Christianity to Ireland in the year 432. Did you know that it was actually the color blue that was initially associated with St Patrick himself and not green? It was a light shade called St Patrick’s blue! ‘Green river’ and what not! Leprechauns and pinching of the ‘non-green’! As absurd as the above may sound, the idea stems from the legend involving the mischievous fairies – ‘leprechauns’ popular in Irish folklore. The legend followed that leprechauns would hide pots of gold, were blind to the color green and would pinch anyone they could physically see (i.e. those not wearing green). Today, this has turned into an act of play and fun where people take this as an excuse to pinch others who are not seen in green on St Paddy’s Day. Green St Paddy’s Day- the actual causes! The uprising of the green color was due to various debatable reasons. Ireland, with its lush green countryside had been denoted with the name ‘The Emerald Isle’, the green stripe on the Irish flag is also believed by some to be contributing to the ‘greenness’ of St Patrick’s Day. 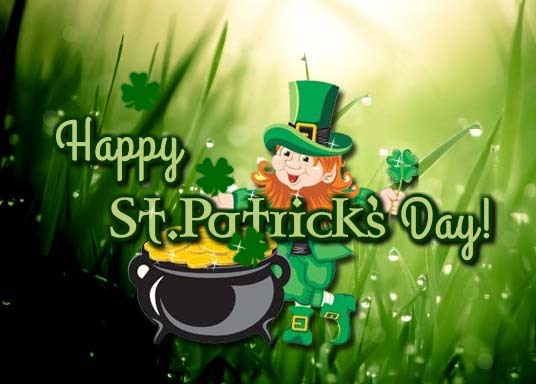 Wearing green is also a means of representing shamrocks which were used by St Patrick himself to teach and which also denotes spring and good luck. 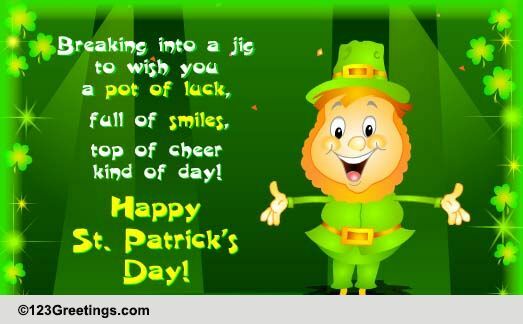 So, going with theme, our cards scream out green, magical leprechauns, pots of gold, Irish culture and a whole lot of fun! Here we have brought to you a list of picks that represent the spirit of St Patrick’s Day so beautifully! Pick your favorites and make sure to send them across to all your loved ones! This card screams out fun and joy! Jiggle and dance your way through the festivities along with wishing the best for the people in your life. This is great to send out a more interactive wish. Your friends and family will actually be able to catch pots of gold by clicking on jumping leprechauns! Now if this doesn’t sound fun, then what does? A cute teddy bear sending out love and hugs makes the card a winner already! What tops it of is the exquisite depiction of the peaceful Irish scenery and the smooth animation. 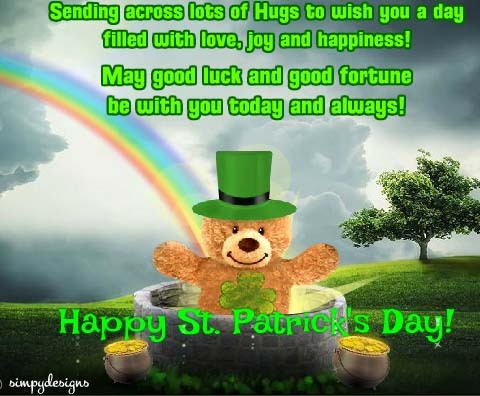 Pretty layout with the little shamrocks followed by a well animated Irish scene involving leprechauns, pots of gold and the rainbow make this card a perfect one for the occasion. 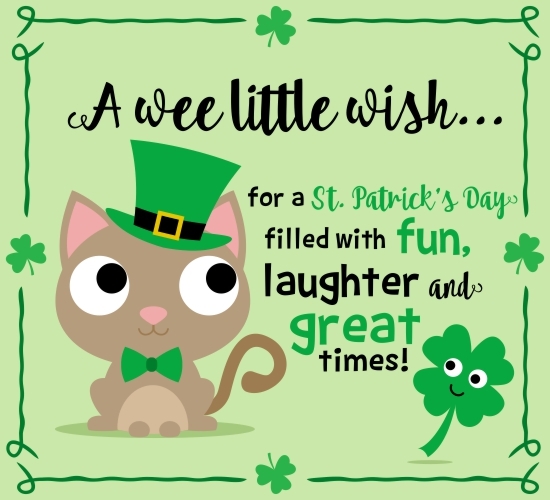 For someone who is familiar with the Irish lingo, a ‘wee’ little wish would be the perfect pick, along with the cute message. 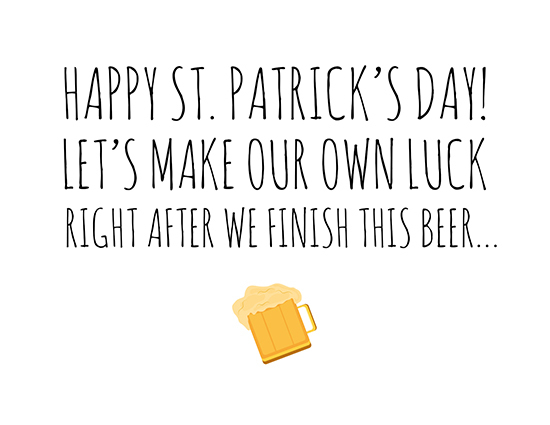 If beer plays a major role in your St Paddy’s celebrations, do not miss out on this great ecard that is so on point. Send it to all those in your clan and those who believe in constructing their own ‘pots of gold’. If you’re looking for a St Paddy’s wish for that special someone, this is a new age quirky card that says it as it is. The personalized text and the clean and smart design make it one of our favorites! 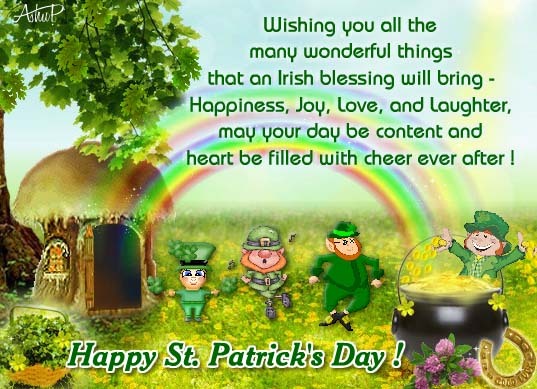 This is a classic card for sending out St Paddy’s Day blessings with a pretty background and uncluttered animation. The shamrocks falling over delicately add to the charm and feel of the wish. 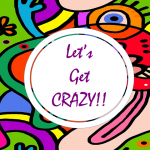 Another simple yet witty postcard to send to your loved ones! Tell them just how much they mean to you on this St Patrick’s Day and see them gleam with joy! 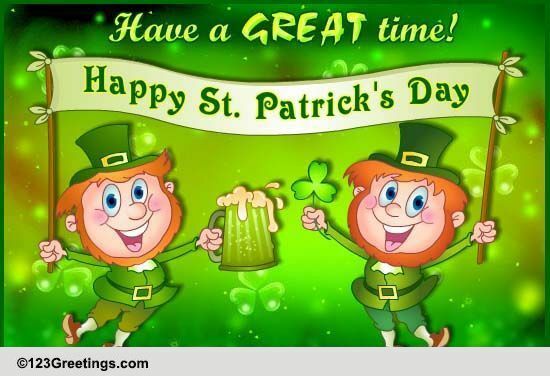 We hope that this has geared you up even more for the upcoming celebrations.We are ever so excited and wish all our users a very happy St Patrick’s Day in advance. May your pots of gold never end and that you find a rainbow to brighten your days at every step of life! Previous Thank You Note To The Special Woman!